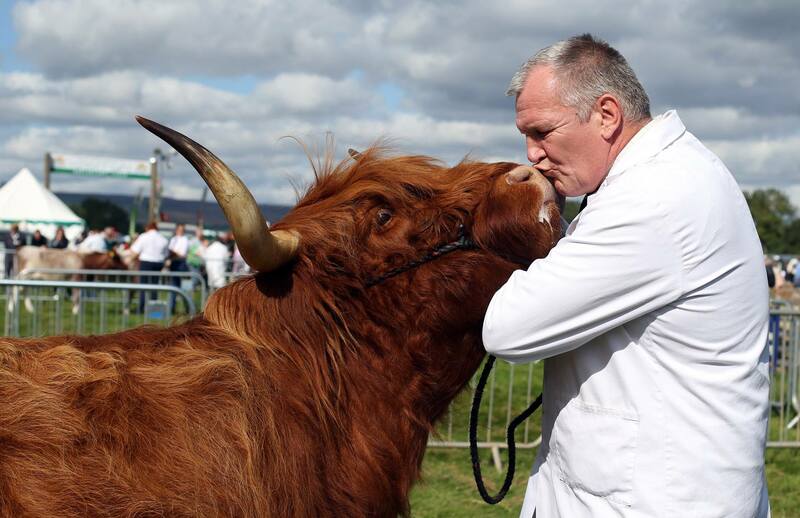 Helen Gildersleeve speaks to award winning North East photographer Chris Booth to find out about his life behind the camera and his passion for the region. Esteemed American photographer, Ansel Adams once famously said: “There is one thing the photograph must contain, the humanity of the moment.” In our fast paced and image focused world, good photography has become more potent than ever, with the average human seeing up to 4,000 images daily. 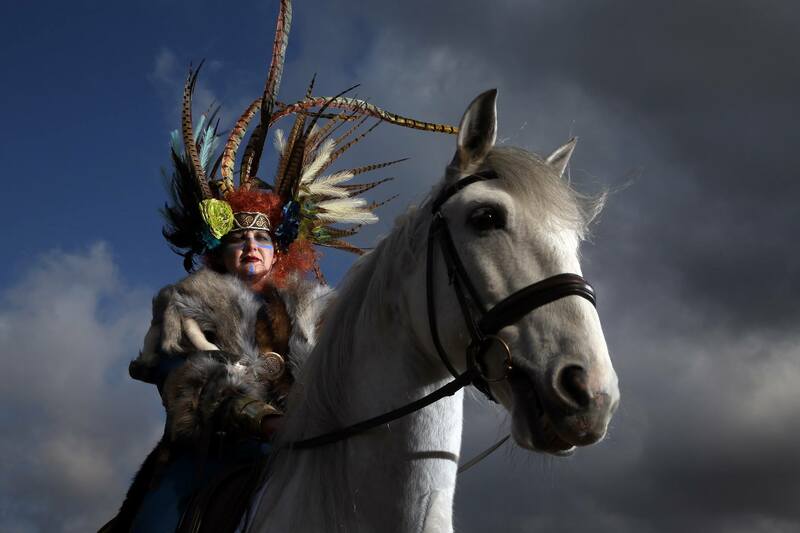 Darlington based Chris Booth has an extensive background in press photography and has worked for some of the North’s leading newspapers and magazines. 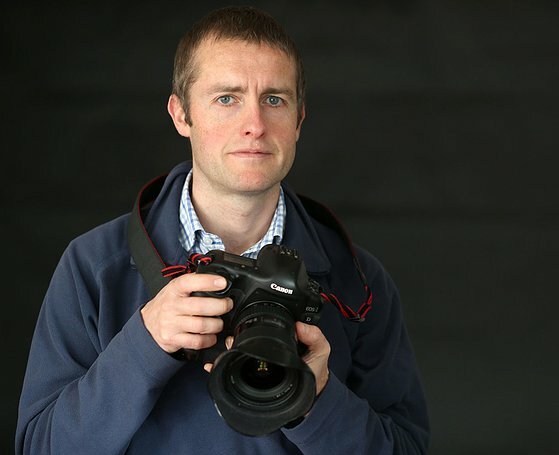 With more than 12 years’ experience at The Northern Echo, Darlington & Stockton Times and Living magazine, his lens has captured everyone from pop stars to politicians, royalty to rogues and lots of beaming brides. I didn’t know what I wanted to do as a serious profession while growing up and it wasn’t until I was about 24 that I thought about being a photographer. I had always enjoyed taking pictures as a youth, and enjoyed having a go on my dad’s Canon T70 when given the chance. He was quite a keen amateur as was his father before him. In addition, I always had a keen interest in travel and politics and made usage of the fact that my sister worked on a newspaper to get my first bit of work experience as a press photographer on the Keighley News in West Yorkshire near to where I grew up. From there I successfully applied to get on the NCTJ photography course at Norton College in Sheffield from where I gained my first staff photographer position on the Scarborough Evening News. What images are you most proud of? This is a hard question to answer as I cover a wide array of subject matter and find it hard to compare or rank one against the other. I feel extremely fortunate enough to have covered the whole of the London2012 Olympics on behalf of The Northern Echo, and I believe I made the most of the 2 weeks I spent down in the capital. From this period to name but a few, I captured images of the iconic opening ceremony, Usain Bolt crossing the finish line in the 100m final and Kat Copeland becoming the first EVER woman from the North East to win a gold medal in her rowing event. 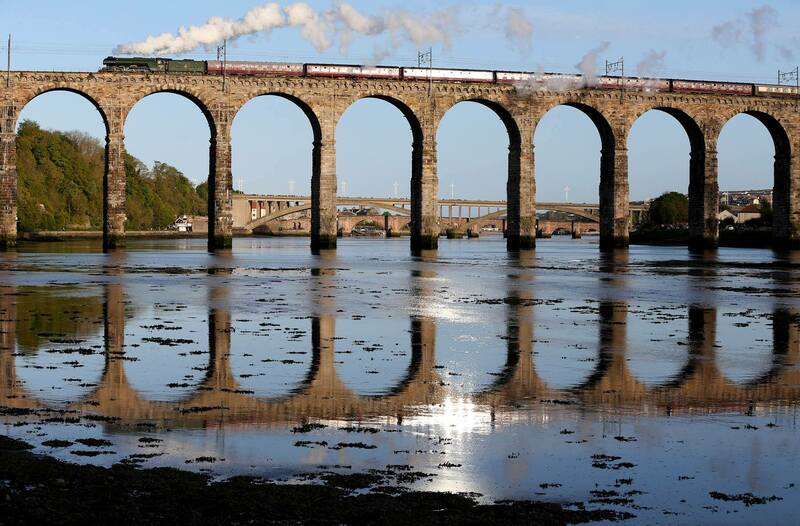 Where do you think is the most photogenic area of the North East? I don’t think there is one particular area or place in the North East which is best for photos, rather there is a wealth of choice of many places. Clearly there are popular locations known to many such as Newcastle quayside, Durham Cathedral, Gunnerside in North Yorkshire, Bowes Museum in Barnard Castle, much of the coastline including Robin Hood’s Bay, Staithes, Whitby, Seaham Harbour. The list goes on, however as primarily a news photographer, if I am photographing a landscape there needs to be a news element involved such as extreme weather conditions or an event going on at that location. Do you have any tips for taking a great local photograph? It always helps to know a location well – to know for example how the sun might fall on a landmark at different times of day and where the sun sets and rises in relation to that landmark. Patience and enthusiasm are two more important characteristics especially for landscape photography. I would also encourage creativity – looking at different angles photographically on a subject matter and possibly trying to take a picture in a way that hasn’t been done before. This isn’t easy however. What do you think makes the North East so great an inspiration for photographers? I think the North East has an amazing amount of subject matter from iconic buildings in urban areas to beautiful yet wild landscapes both inland and along the rugged coastline. It’s difficult not to be inspired by such a wealth of choice! 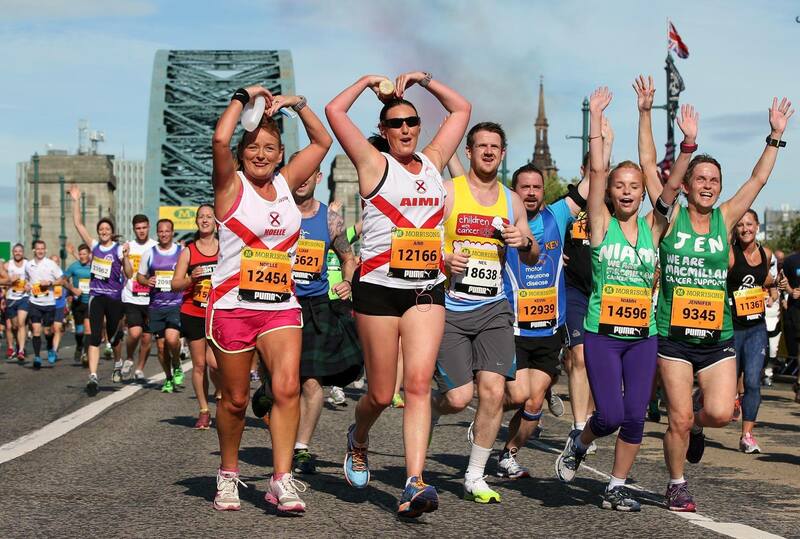 This year’s Great North Run is fast approaching. HELEN GILDERSLEEVE finds out some interesting facts and regales her own experiences of the iconic North East event. 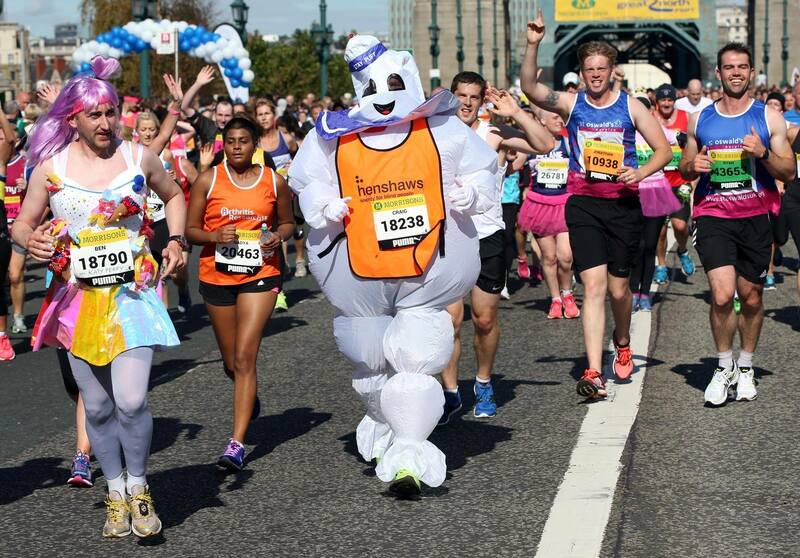 It isn’t called the world’s most famous half marathon for no reason. The run was originally devised by Tynesider and former Olympic 10,000 metre bronze medallist and BBC Sport commentator Brendan Foster. The first Great North Run which was advertised as a ‘local fun run’ began on 28 June 1981, when 12,000 runners participated. Fast forward three decades and the number of participants had risen to 47,000 with this year’s event boasting a record 57,000 runners who will pound across the iconic Tyne Bridge to South Shields sea front. Nothing quite prepares you for this event and it’s so much more than just ‘going for a run’. I’m about to (hopefully) complete my fifth this year and I can’t wait. Standing at the start line and looking ahead at the sea of coloured tops and eccentric fancy dress is nothing short of amazing. How they get 57,000 people on the central motorway each year in an orderly fashion always astounds me. Every single person has their own story for competing, and most are extremely touching. It’s hard not to get emotional seeing the huge variety of charity runners and signs on people’s vests emblazoning messages like ‘for you mum’ and ‘in memory of ….’. Each year sees millions of pounds being raised for hundreds of different charities. It’s a moment where people come as one and the atmosphere is simply magical. Once the start gun goes off at 10.40am and the sea of runners ascend across the town flyover amidst chanting and the echoes of pounding feet, there’s no greater sight than the masses of people and shouts of support greeting you as you run across the Tyne Bridge with the Red Arrows flying overhead. Throughout the 13.1 mile course the support from local people is astonishing; they come out in their thousands to give support and many give runners home baked goodies, biscuits and fruit to boost energy. One particularly warm year I got blasted by a child with a Super Soaker and I’ve never been more grateful. Nothing is more welcome than the sight of the sea when you head into the last mile at South Shields, I’ve witnessed people limping, crawling, carrying one another and crying at this point. As you bear left and run the final mile with the North Sea on your right, the finish line is in sight and all you want to do is stop/cry/collapse as you can’t feel your legs anymore, but the masses of people cheer you on and push you to the end. These people will never understand how much the runners appreciate them. You FINALLY get to the end and as you sprint through that famous finish arch, the feeling cannot be explained. Nor can the taste of that first sip of a beer. And it’s over for another year! Previous runners include: former England and Newcastle United manager Sir Bobby Robson, former Prime Minister Tony Blair, Sting and Newcastle’s own TV presenters Ant & Dec. In 2014 the 34th Great North Run had 57,000 participants and celebrated the 1 millionth runner to cross the finish line, and was the first to have a British man win in 29 years. If all the Great North Runners stood head to toe, their combined height would be ten times the height of Mount Everest. 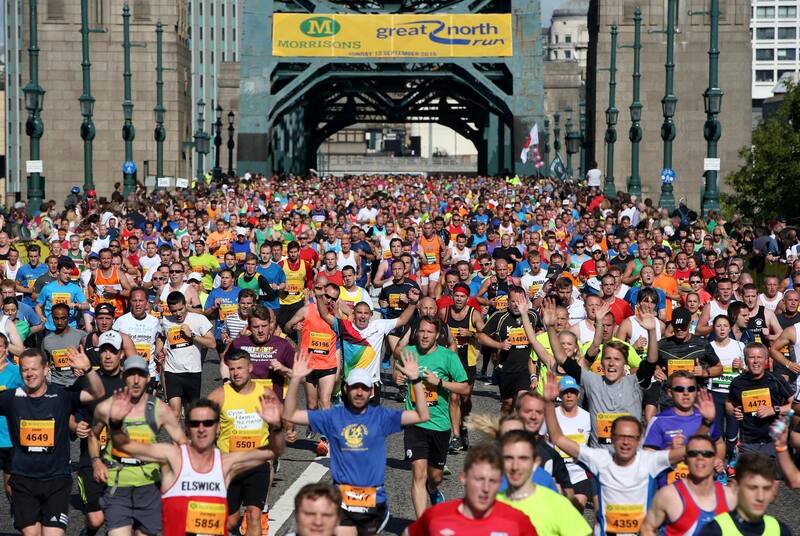 About 18 miles of cloth is used to make Great North Run souvenir T-shirts. Paul Gascoigne once pushed a wheelchair athlete all the way round the Great North Run circuit. Thanks to Chris Booth of www.chrisbooth.photos/ for the images of the Great North Run. 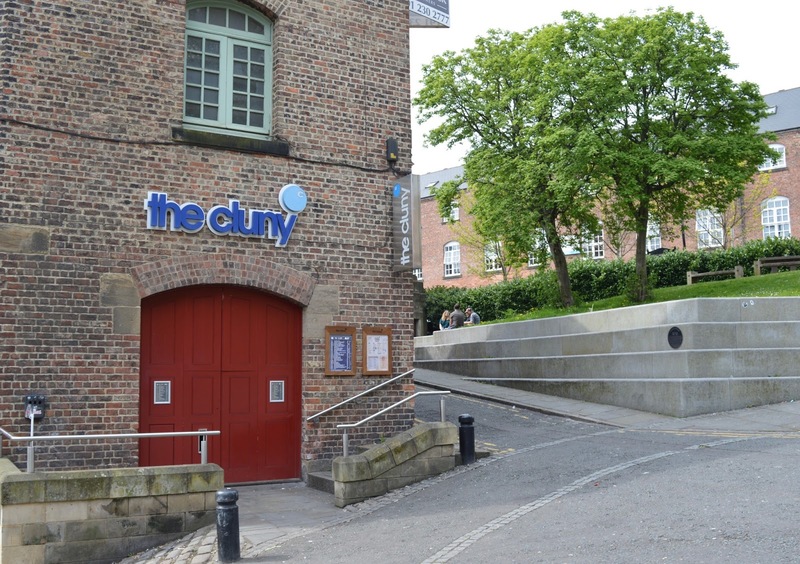 The Cluny: HELEN GILDERSLEEVE explores the history behind the popular Ouseburn Valley venue. Even rare pub goers in the region will have heard of or paid a visit to The Cluny in Newcastle’s Ouseburn Valley. 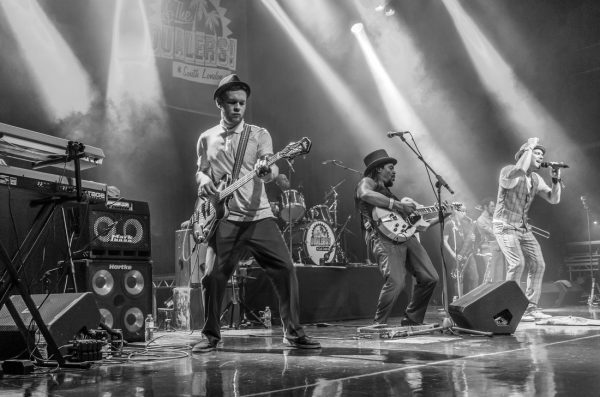 Priding itself as being one of the North East’s premium music hot spots, The Cluny has been hosting bands from across the globe since the turn of the century in 1999. Once the home of a bottling plant for a Scotch whisky called the Cluny, this is now a post-industrial bar with separate music rooms that thinks like a pub and doesn’t try to be something it isn’t. You want an affordable, decent band night with a variety of beers and tasty pub grub (they even do chips and gravy in a baguette)? Look no further. This is the Cluny’s major USP and the reason behind its popularity across the region. The Cluny’s raison d’être is music – from the moment you step inside the industrial brick walls are adorned with posters advertising forthcoming bands from The Monkey Junk Blues Club to Reverend Peyton’s Big Damn Band and a 20 year anniversary celebration of Radiohead’s OK Computer, where fans and musicians come together to perform. It hosts over 400 gigs a year, all of which are well attended. Whatever your musical taste, the Cluny is bound to have something that appeals and this is the beauty of the place- in a world full of trends and pigeonholed venues, the Cluny doesn’t have a specific clientele nor does it judge or care. I last went in wearing sports gear whilst sitting next to folk all glammed up from the races. Artists performing here range from the known to the completely unknown and eclectic. Notable acts that have graced its stages include Mumford & Sons, Arctic Monkeys, Seasick Steve, The Futureheads, Duffy and Glasvegas. Solange Knowles, younger sister of global phenomenon Beyonce, kicked off her first UK tour here in 2008. 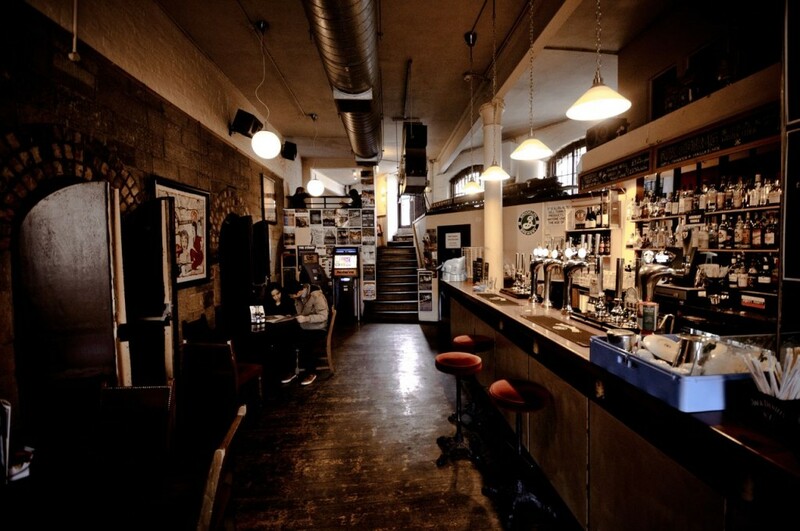 Pre 2009 saw the Cluny having just one music area, until a golden opportunity arose when it took over the running of the adjacent former Round Theatre, which went into liquidation in 2008. 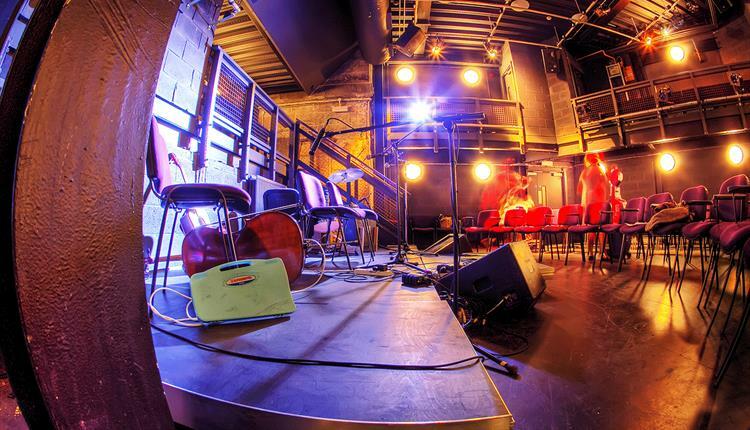 This theatre style, 160 capacity period venue was re-branded as the Cluny 2 and the rest is history. If you’re like me and are always intrigued by the history of quirky venues like this, I did a bit of digging and discovered it is housed in a former flax spinning mill which opened in 1848. It then re-opened as a steam powered flour mill in 1860 before taking its namesake from when it became a whisky bottling plant decades later. It’s fair to say 36 Lime Street is continuing its history and putting a quirky building to great use great use once again.